That moment when you feel like you’re the only one among your circle of friends who haven’t been to Bantayan Island in Cebu. The feeling is strange, and maybe a big slap on my face because I haven’t been to Bantayan Island, knowing that it is just about 4-5 hours of travel from Cebu City Proper. And knowing that I’ve explored more than half of the Province in the Philippines, and even so, I haven’t traipsed my feet in the beautiful Island paradise in Bantayan Island, Cebu. So, our over the weekend trip to Bantayan Island, which includes visiting to its top tourist attractions like virgin Island, Paradise beach, the ruins, Obo-Ob Mangrove Eco Park and more. Additionally, it includes how to get to Bantayan Island, travel tips, Itinerary and possible expenses on Bantayan Island. A bunch of my friends who asked me, why I haven’t been to Bantayan Island? Honestly, I don’t know why, perhaps because at the back of my mind, I can go to Bantayan Island anytime since it is just located in Cebu Province. 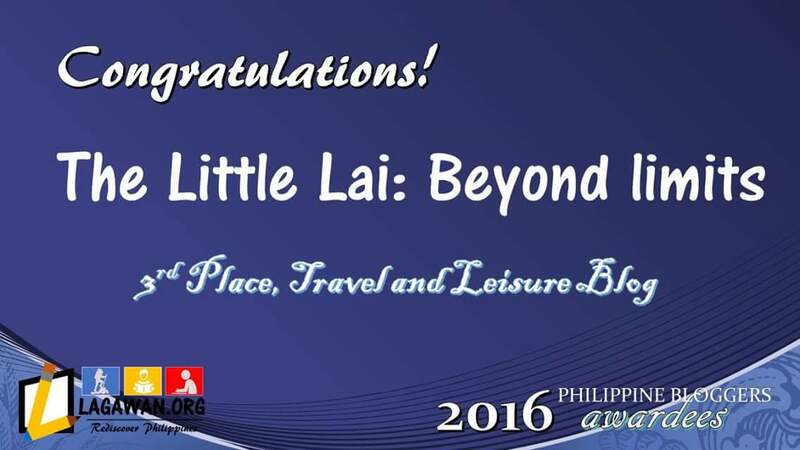 Merely, after 6 years since I began travelling around the Philippines. I had a chance to visit Bantayan Island last year when my friends invited me to join them on their Bantayan Island escapade. Imagine – It took me more than 6 years before I decided to visit Bantayan Island, which I regret a bit after my visit last year, because I felt like it was too late already. But, despite having that thought – I knew that the moment I traipsed my feet on Bantayan island, I would definitely love it. True enough, I feel like I’m literally not too late to enjoy this Island Island Paradise, since at some point, it is still left in its innate state. So, the long wait is over as I traipse my feet in the Cebu North Bus Terminal, which happened to be our rendezvous together with my friends namely; Aloysius, Marv, Juliet and Nie-an. All of us were really charged up, perhaps because it was our first travel in 2018, which happened on the 3rd week of January 2018. We took the last trip Ceres Bus around 11:30 PM in the Cebu North Bus Terminal bound for Hagnaya Port in San Remigio, Cebu. We really intended to leave Cebu on Friday night so we could make our stay on Bantayan Island longer, knowing that we only be staying over the weekend. True enough, the long Bus ride has given us enough time to take a nap and after almost 4 hours of travel, we arrived at the Hagnaya Port at around 4:00 AM. The moment we got down from the Bus, I got shocked since the long line for the boat ticket is really that long. But, after enduring the long line, we were able to purchase our boat ticket. The defining moment came, we were on board in an Island Shipping barge bound for Santa Fe Port. And since we weren’t able to sleep comfortably in a Bus from Cebu City, we took the chance to take a nap again while the boat is sailing to Santa Fe Port. Shortly after 1 hour and 30 minutes of travel, the boat dock off at the Santa Fe Port, and the pristine water around the port welcomed us with an intention to entice us. I guess all of us that time were first timers on the Island, and as expected, we don’t even know what to do first. And since we didn’t book any Hotel beforehand, we were struggling where to stay. We asked the locals around and they’re very kind to assist us. They recommend good beach resorts, but regrettably, some Resorts are already fully booked. We then searched on the internet, and we found a few good list of Hotels and Resorts that have matched our budget. Shortly after searching, we found a budget friendly Beach resort, which is situated a few meters away from the Santa Fe Port. The heaven must have heard us pleading that time, I couldn’t control my happiness, hence, we immediately took a tricycle to bring us to the Mayet’s Beach Resort. As we arrived in Mayet’s Beach Resort, I immediately feel the Island vibes and the serenity of the place. And since we arrived too early, we asked the receptionist if we can check in right away so we can rest. He was too kind, and the owner as well, they allowed us to check in as early as 9:00 AM without charging us extra. We selected the Standard Family Room, which is good for 5 people for only PHP 2,300. Actually, It was an answered prayer since we are five beach worshipper traveling that time. We immediately went to our room, and planning where to go and what to explore first. Planning where to go and what to do the moment we arrived on Bantayan Island was seemed not a beneficial idea because we didn’t have any fix plan beforehand. But, it worked out to be really great as we come up with a great idea on which place to explore first and how we ended our day. We then agreed that we go first to the most beautiful Island near Bantayan Island, which is the well known Virgin Island. True to its name, it is still left in its natural state, though there were already commercial establishments on the Island, but still really stunning. Perchance, your Bantayan Island experience will never be completed without visiting Virgin Island. Upon agreeing with friends that we will go to Virgin Island first, there’s this guy outside our room who offered us a boat ride for only PHP 1,500, which includes going to Virgin Island and leading back to the main Island in Santa Fe. We find the offer good hence, we didn’t bother to haggle since we were five that time, which means – will get to split the boat rental into five. Everyone was excited, and we immediately prepare to depart. The boat wasn’t that big, but enough to render us a comfortable space to move while on the boat. The boatman was not boring at all, he appears to be very excited for us as well. He even told us what are we going to find out on the Island and what we should do. True enough after around 30 minutes of boat ride, the boat finally reached the shoreline of Virgin Island. I instantly noticed the powdery white sand while the turquoise waters kissing the coast, which seemed to be really enticing. Upon traipsing our feet on the white sandy bed, and walk a few meters away from the shore, we were asked to pay PHP 500.00 for 2 people and additional PHP 100.00 per person in excess of 2. I got blown out of the water, since I didn’t expect it to be that expensive at all. But, since we were already on the Island, and we have no choice, we then paid PHP 800.00 because we are five that time. We were supposed to find a cottage, but decided not to since we won’t stay longer on the Island, and besides we didn’t bring a lot of things that time. At least, we save a few hundreds for that. Shortly after paying our entrance fee, we started exploring the Island. We then walked around, and found a bunch of cliffs and a lush of green trees. Shortly, while ambling around the Island, we heard a shout from afar like as if crying out his nervousness out loud. And as curious as cat, we then got closer and we found out that the place was actually a “Jumping Site of Virgin Island”. The place is really a higher cliff part of Virgin Island, but it has been improved to make it higher. They built a sturdy bamboo-scaffolding on top of the rock. The height of this “cliff jumping site” is about 20-25 feet high. I couldn’t understand my feelings that time, the excitement and my fear were meeting in the midriff. I was tempted to go to the higher part of the cliff, and was about to jump, but because I was too scared of height, It didn’t happen. My knees were shaking and I was consumed by my fear. There’s also an improvised swing where a large rope is being wedded to a bamboo where you can jump on a pristine water just like Tarzan for about 10-15 feet high. And that’s something we tried, since the cliff jumping is something we actually can’t take. Though, it wasn’t that high, but it has yielded us a space to remember our childhood memories. Shortly after truly enjoying Virgin Island, we decided to leave and get back to the main Island in Santa Fe. It was still early when we leave Virgin Island. We were supposed to witness the beautiful sunset, but since we still need to check some of the beautiful spots around Bantayan Island, that’s why we resolved to leave. The moment we got down from the boat in Santa Fe while we were still in our wet look, we decided not to go back to the Mayet Beach Resort first. We then explored more of what Bantayan Island has to offer. We rented a tricycle to bring us to some of the well known tourist spots around the Island for only PHP 700.00. Shortly after, we started exploring the Island and our first stop was the Obo-Ob Mangrove Eco Park. We learned that the original “Camp Sawi” sign was transferred to this Eco Park, and no longer located in Kota beach. It is very well recognized because “Camp Sawi” was a Filipino Movie where it chanced to be filmed on Bantayan Island. Shortly after paying PHP 50.00 as an entrance fee, we started exploring the Eco Park. The Obo-Ob Mangrove Eco Park is really a perfect place if you want to have a physical activity while staying on the Island, since this park involves a short but healthy hike. Moreover, the Eco Park has a simple wood and a bamboo boardwalk that will certainly take you deep into the mangrove forest, which is really refreshing. And while ambling around the Eco Park, you would definitely enjoy taking photo and the well grown mangrove trees are served to be your perfect backdrop. Additionally, the Obo-Ob Mangrove Eco Park can be explored by boat, Kayak, or on foot, which was what we did during our sojourn. Moreover, just close to this Mangrove Eco Park is where the Maricaban Beach, which owned a long stretch of white sand beach. Walking around has made me sweat endlessly, but it was very refreshing because of the beautiful view around. And as we almost reached the end point, we saw a viewing deck, which was made of sturdy wood and bamboo. It was scary to climb up there, but we did it. At the top of the viewing deck; one must experience the cold breeze and the panoramic view of the mangrove forest while seeing the immense ocean. From the viewing deck, you’ll see how serene and stunning it is which will surely capture not only your attention, but your heart as well. Shortly after exploring the Obo-Ob Mangrove Eco Park, we decided to depart and go straight to Paradise Beach Resort, which happened to be our next stopover. It was a bit crowded the moment we arrived, but we truly have enjoyed the place. We walked around, and took a lot of photos. We couldn’t find a store nearby, good thing we had a bottle of water with us and some food to nibble because the clinging heat of the sun has made us thirsty and hungry. The moment I knew about this one, I got intrigued on how it becomes “The Ruins”. But, after doing a little research, this spot isn’t really ruins by nature, but because this was how people came to call it after the Filipino movie “Camp Sawi”. The scene here was said to be the most intense part of the movie, since the cast threw bottles or glasses on the wall while releasing all what have made their hearts heavy. Just imagine that loud sound of the bottle the moment it strikes the wall. After this movie, the tourist visiting Bantayan Island started to recognize this place and it became one of the most photographed spots in Bantayan. Truly, the moment we got here, we found it lovely and a great spot to take a photo. Hence, my friends and I didn’t waste any time, we genuinely enjoy the place while taking a lot of photos. Barely a few meters away from The Ruins is the Santa Fe Cliff Diving Spot, located along the road between Paradise Beach and Octong Cave Resort. We were supposed to drop by here, but since it was nearly dark, we decided to go straight back to the Mayet Beach Resort where we get to stay for a night. The panoramic view here is said to be really great and the immense view of the turquoise waters is the perfect backdrop if you take photos. Eventually, after our long day of exploring Bantayan Island, we get to go back to our room. And as anticipated, all of us were very tired, hence, after taking a bath, everyone was seemed to be very excited to let our body kiss the bed freely. We had a good sleep, and our tiring body has brought us to deep slumber. The good thing was, we already purchased food for our dinner before we went back to the Mayet Beach Resort after enjoying all what Bantayan has to offer. We bought “Roasted Chicken” or commonly recognized in the Philippines as “Letchon Manok”. So, the moment we woke up, since we all had a short sleep, we immediately had our dinner just outside of our room because there’s a table and also chairs available. Then after our dinner, we went back to our room and get back to sleep as we all still feel so exhausted. On the succeeding day, we expected to experience sunrise on the beach, since Mayet Beach Resort owns a beautiful sunrise view. Merely, the weather wasn’t cooperating that time. It was gloomy and the rain started pouring down, so we decided to go back to our room and we’ve talked about anything. While we were inside our room and talked about anything, we suddenly realized that our no fix plan trip was turned to be very amazing. That’s also the time when we realized that we’ve induced a good decision the moment we traipsed our feet on Bantayan Island. It was really great that we’ve explored the Island a day when we arrived, or else we won’t be seeing those beautiful spots if we make it on the following day since the weather wasn’t good. Shortly after, the rain stopped and we decided to have our late breakfast. We took a tricycle and even asked the driver if he has any recommendations on where to eat. Then, he brought us to this beautiful food place known as MJ Square, which is perfect for those that want to experience food adventures on Bantayan Island. A place where you can have a boat load of choices on where to eat, since there are different restaurants around. We ordered a Filipino breakfast meal and while we were having our breakfast, we talk about our future travel plans and just relish the morning vibes. Genuinely, we ended our Bantayan trip with purely relaxation and had nothing to rush about. As shortly as we finished our breakfast, we went back to our Hotel for check out. But, before we finally leave Mayet Beach Resort, we resolved to check again the stretch of white sand near the shoreline of Mayet Beach Resort then went straight to Santa Fe Port. We likewise had our lunch near the Port before we purchased our tickets back to the Hagnaya Port in San Remigio and ride a Bus bound for Cebu City. The moment you arrived it at the Santa Fe Port, you have to pay the Ecological Fee, which is around PHP 30.00. From the port, take a tricycle to your Resort and fare is around PHP 20-30. Only, if you have booked your Hotel beforehand and have pre-arranged shuttle service with the Resort, then they will pick you up at the Port. Merely, in our case, since we didn’t book our Hotel beforehand, we took a Tricycle while searching for the best Hotel to stay. Perhaps getting to Bantayan Island requires a long drive from the Airport for around 6 hours, which includes the long line for the boat ticket and waiting time, but I tell you – it is truly worth it. Bantayan Island can actually be explored in two days or over the weekend just like what we made out. But, if you wish to stay here longer, it is even better. Hence, here’s a sample 2 day itinerary on Bantayan Island. Finding a place where to stay on Bantayan Island is easy, since they have over 40 Beach Resorts. But, I suggest that you book your Hotel prior to your visit to the Island. This Island can be very busy during peak season, especially in summer time (March to May). There are also budget friendly Rooms for as low as PHP 400.00 per night, or a family room good for 4-5 people for only PHP 2,300.00 to PHP 3,000.00. This Island is also open for campers, simply pay the entrance fee on which Resort you would like to camp. And so, if you don’t have a camping tent, you can rent one for less than PHP 200.00. The motorcycle is such a great means of transportation in Bantayan. Hence, I advise you to rent a Motorcycle if you know how to drive, especially if you’re traveling alone or with someone. You can tour around the Island and visit all their stunning tourist attractions. Additionally, renting a tricycle is also great, particularly if you’re traveling with friends. Trike tour cost is around PHP 700.00 for four (4) hours good for three 3-5 people. Bantayan island can be really crowded during Holy Week. You’ll expect a long queue of passengers upon going in and out of port. Moreover, the beach will be crowded and prices in all activities and accommodation will be very expensive as well. If happen you visit this Island during holy week, I advise you to book your accommodation as early as the month of January or February. Always check the weather if you’re planning your trip to Bantayan, especially during rainy season in the Philippines from the month of June to December. Mobile signal is something that we are concerned about, but no worries since major mobile networks like; Globe, Smart and Sun have mobile signals. Some establishments on Bantayan Island, especially the Hotels can accept credit card. If you don’t bring enough cash, there’s an ATM machines and banks located in Santa Fe Proper. The best time to visit Bantayan is during the dry months, January to May. Some expenses we had on Bantayan Island were divided into five, since we are five that time. Particularly, the boat rental to the Virgin Island, tricycle rental around Bantayan Island and our accomodation. Hence, if you’re traveling to Bantayan Island with friends or with your family, you’ll definitely save a great deal. What beautiful beaches! The Eco Park and the ruins look like they’d be fun to explore too!! Really detailed travel guide for Bantayan Island. I love that you’ve included costs and an itinerary as well. It’s funny how sometimes it takes friends to convince us to visit somewhere. The same thing happens to me all the time. All these details are so helpful. I love visiting mangroves! I’ll have to add this to my travel list. I have never been to Phillipines and hadn’t heard about Bantayan island before reading this post. I must say, so many places are out there that we still have to visit. Thanks for sharing this comprehensive guide to Bantayan island and highlighting it for us! Wow that water looks gorgeous! I’ve visited Palawan but I heard it’s gotten more crowded in recent years. Seems like Cebu is still a great spot to visit. It’s amazing how Philippines are full on these little island jewels.. Never heard of this one before, but would definitely give it a go while in Cebu. Thank you for sharing!! That beach looks to beautiful to be real! Thanks for the itinerary breakdown at the end, super helpful! I’d never heard of this island before but I would love to visit! Your guide is so detailed and helpful, and I love the tips at the end. The beaches are beautiful and the Eco Park sounds fun. You have great planning you fit a ton of activity in to a short amount of time. Bantayan Island looks gorgeous! I’ve never been to the Philippines and your photos are inspiring for a visit. Good you were able to find a nice place to stay at the last minute too! Spontaneous travel is always fun. I am glad you had a great time on your spontaneous trip to Bantayan Island. Virgin Island seems beautiful and I would love to visit it someday and cliff jump. Great photographs. Thanks for all the detailed info. Wow, what an amazing place to explore. I’ve never been to the Philippines but everyone I know who has gone has loved it. And your guide to visiting Bantayan is perfect,a ll the relevant information to help people plan their own visit. Those white sand beaches are the stuff dreams are made off. Visiting the Philippines is deffo on my travel bucket list, and thank you for the inspiration to visit Bantayan Island. Last minute plans are sometimes the best! Looks like and awesome place. Yet another place I have to add to my bucket list! I have already visited some islands in the Philippines but I haven’t made it to Bantayan yet. But I will make sure to include it in my next trip! Thanks for sharing! I never knew about Bantayan island before reading your post but it really looks like a hidden gem. Though your trip was not planned it really turned out to be memorable with so many exotic beaches. Aren’t unplanned, spontaneous adventures just the best?! The waters look so blue and inviting! I would love to visit one day to all of Southeast Asia! “No fix plan” trips often turn into something extraordinary)) Thanks for precious info about prices and places to see, it helps a lot to adjust travel itineraries! I have been in this place almost 20 years ago! OMG! Brings back so many memories! Such a beautiful place. The beaches on Bantayan Island are exactly the kind that I like, white and powdery. They look stunning! Do all the beaches in on the islands have an entrance fee? You got to combine some culture, together with some fun at the beach with your friends. It looks like this was a fun weekend! beautiful Island. The the beaches at Bantayan Island are amazing, super family friendly they look like. And I guess they are so clean because an entry fee is asked? 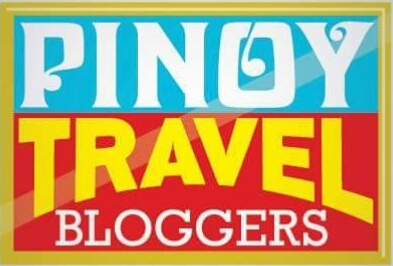 I always love reading your blog and learning about all the amazing destinations in the Philippines 🙂 I am definitely also guilty of either taking forever or not making it at all to destinations that are pretty close to where I’m living. It can just be more exciting to go further, right?? But in this case it looks like it was really worth it to visit Bantayan Island. If I’m ever in Cebu, I’ll be sure to keep this in mind! Thanks for sharing your adventures! Hi, Ariel! Lovely review. The Philippines has amazing beaches! I’ve been to Cebu before and I love that the local restaurants and bakeries are open 24/7. Not to mention that you can always find cheap yet great accommodations that will fit your budget perfectly. Hopefully, I can go back here soon and check Bantayan Island out.